In the seven years that I have organized Creations for Charity, I am most grateful for the growing support from the Lego community in making the fundraiser a success year after year. This holiday season, we donated over $18,600 worth of Lego products to children around the world from USA, Canada, Brazil, Hungary and Australia. We gave Lego sets to kids in hospitals, orphanages, shelters and to organizations like Toys for Tots that specializes in distributing Lego to underprivileged children. I want to thank everyone who played a role in making this possible and hope for your continued support in the future. 2015 was our biggest year for Creations for Charity. 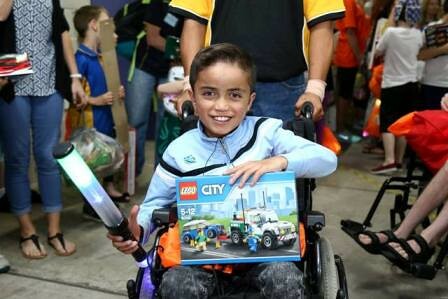 We set a new record of $18,056 raised and distributed Lego sets to 8 locations in the world. Over the years we have had a steady growth of donors who contributed creations for sale in our store. This year was no exception as we received more than 230 unique custom creations from builders of diverse skill levels and nationalities. You see a list of all the items sold this year. In addition, we received monetary donations from organizations including Brickworld, BrickUniverse, Bricklink and Beyond the Brick, which accounted for over a third of our funds raised this year. Even after donating $18,600 worth of Lego sets, we still have over $4,000 left in our funds to grow our organization next year. Numbers aside, it brings me more joy to hear from our distributors about their donation experiences. This year, we had the help of 8 amazing individuals who volunteered to spend our funds to buy Lego and distribute them in their local area to kids in need. They have each taken photos of their donation, which you can see in the posts on our website from December to January. Some were able to build the sets alongside the children. 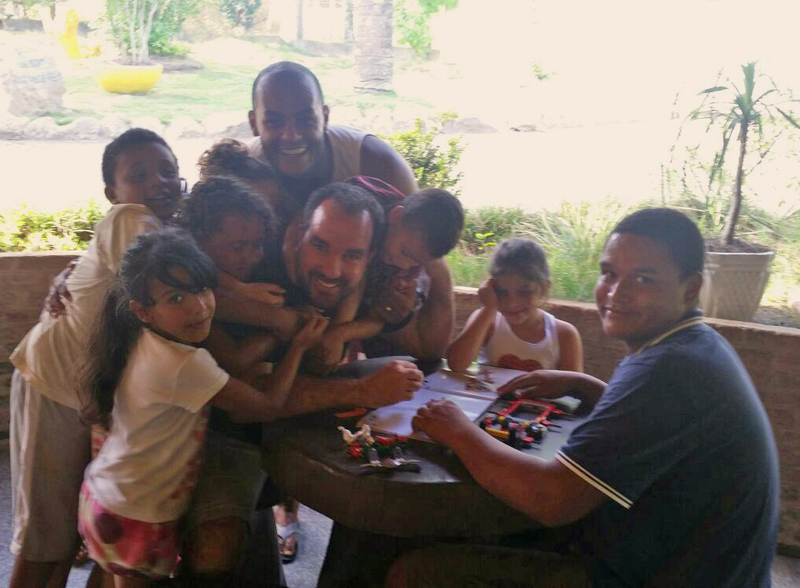 For many of the kids, it was their first time playing with Lego and owning a Lego set. Going forward, I am optimistic about what lies ahead for Creations for Charity. Now that we have grown to a sizable organization, we plan to apply for recognition as a 501(c) nonprofit organization to achieve tax-exemption on our purchases in the US. With our remaining funds, we are looking to expand our distribution next year to new countries. In the meantime, we are seeking help to revamp our website and to connect us closely to popular social media platforms to improve our outreach. The Lego community is full of talented individuals and generous donors, and I am grateful for everyone’s support in making Creations for Charity an annual tradition of the Lego community to give back. Here’s to another successful year in 2016! As always, proud to be a supporter of this awesome project. Thanks for all your hard work, guys!